Some get the 🌈 after the ⛈ It's the perfect little gift to help welcome their new baby bundle. Could be used to make the happy announcement, the baby's going home onesie, or just because it's to cute to pass up. Looking for a matching bib, blanket or burpcloth? Send me a message- I'd be happy to help. 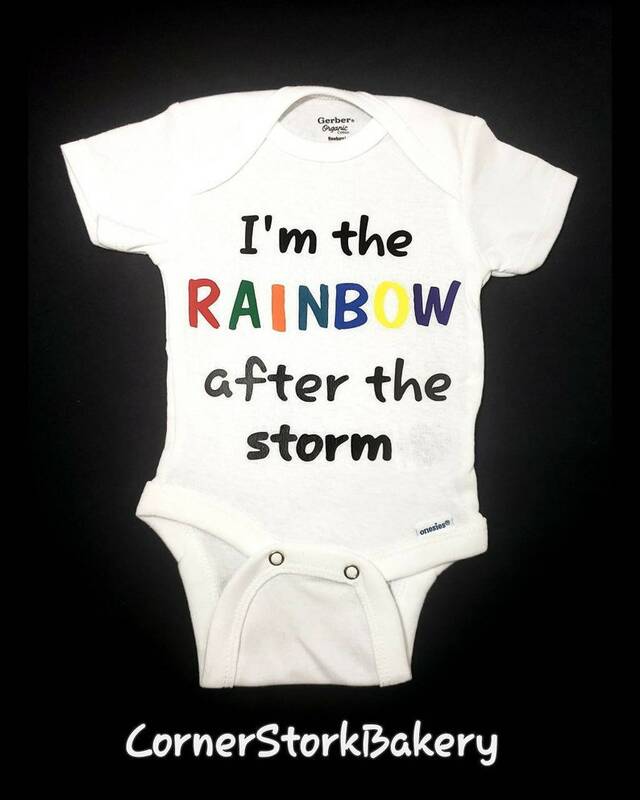 This listing is for 1 "I'm The Rainbow After The Storm" custom onesie. • 1 Gerber's brand white short sleeve onesie with "I'm The Rainbow After The Storm" design made with black htv and multi colors for the word "rainbow". Can be made in different colors per request.